Partner: Digital Catapult, London, UK. LPWANs are wireless network technologies which are particularly suitable for remote sensing applications where battery powered, low bit rate, long range bi-directional secure communications are preferred over traditional cellular communication technologies. Digital Catapult offers an innovation support programme to accelerate the development of LPWAN based solutions called Things Connected. 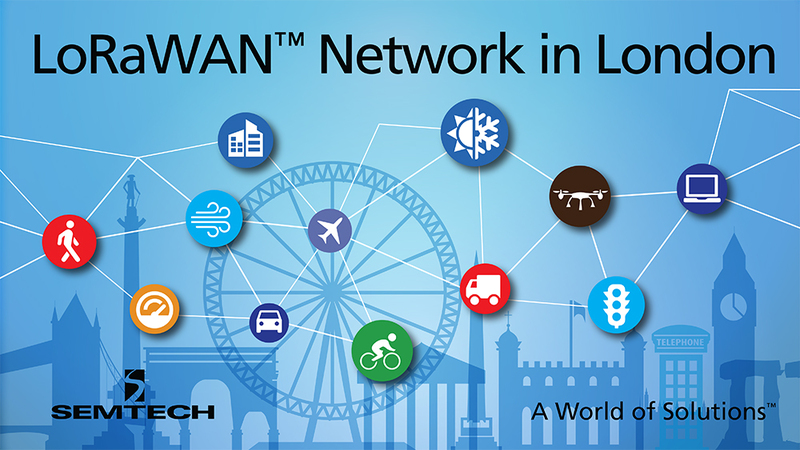 The Things Connected programme provides access to a London-wide LoRaWAN network, which consists of 50 LoRaWAN base stations located across London and covers major areas within the M25 boundaries. LoRaWANs are power-efficient and can connect devices over an area of 10-15 kilometres, with ranges extending up to 50 kilometres in some cases. Digital Catapult will grant successful applicants of Open Calls access to the Things Connected programme. It will assist them in developing and deploying their products or services on top of the LoRaWAN testbed, and enable the designed solutions to be piloted and tested at scale across London.